Increase the Selling Price of Your House	In this current age of inflation it is equally important to sale out your house as to buy a new oneAlthough purchasing depends upon your budget but selling totally depends upon your brilliance and mentalityYes of course if you do a little bit of struggle you can definitely increase the demand of your houseThink wisely to prominent the factors that you consider to purchase a house for you and plan to maintain your house according to that factors.Following are some necessary points that can be useful for you in this regard.Outer Area of Your House:This is the first glance of your house that attract the purchaser. First of all consider this area either there is any unpainted area, rough surface or unwanted wire hanging there. These are the factors that dominate the beauty of your house. 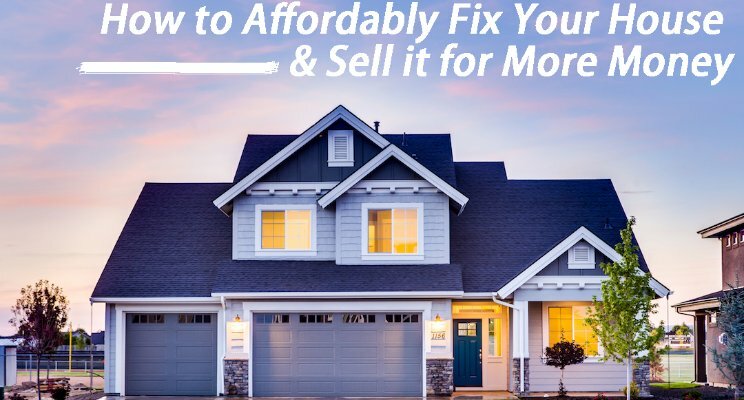 According to the International Renovation Consultant Bross Aurwing paint the external part is the first step to enhance the value of your house. Other than that beautiful flowers and vases are enough to add magnificent to the house.Kitchen with Appropriate Changing:According to the international Report by appropriate changing in two basic parts of the house price of house can be increased up to 7 percent. kitchen is one of that basic part and the other is washroom. Although complete renovation can go beyond your budget but minor changing can be definitely done within your budget.Cabinets and drawers are the most usable part of kitchen to keep and get Utensils or Crockery. There handles become faint due to much usage so must change the handles of cabinets and drawers.Appropriate changing in Washrooms:Washroom is also considered same as kitchen before selling the house. If washroom is damaged it can badly effect the beauty of the room so think about some necessary changing by staying in your budget.Tiles on every wall could be expensive so select any one prominent wall and try to put tiles on that wall. Buy changing the sanitary appearance of washroom turns to look more beautiful.Concentrate on Doors and Windows:If outdoor of your house is not in good condition then first of all change it. Try to change handles of the door, paint the door or wooden doors can be given shine with the help of shiner or polisher. Same things goes for windows.Make a Small Garden in Backyard:The part of the backyard that is not used much, clean that part and make a beautiful lawn there its a cheaper selection. Vases, Grass and Hanging Plants increase beauty of your house. Greenery gave pleasant effect to eyes as well as it freshen your soul. Other than that garage is an also necessary area for parking personal vehicle so there should be an specific area that is reserved for parking car, bike or cycles etc. Green Oaks is an residential scheme with organic farms. That is surrounded by lush green environment and peaceful area. where you can grow your own organic food. These organic farms are developed under the supervision of agricultural experts.Green Oaks provides you the facility to get annual income profits with the facility to enjoy healthy and organic life standards.Golden Investment:Buy a plot in Green Oaks make a small farm house or hut and keep some land specifically for the cultivation. Or you can also choose any business plan with the cooperation of green oaks to cultivate organic products such as fruits, vegetables, crops, or flowers and sell them to the market to earn attractive profits on annual basis.Green Oaks Farm are designed and architect with all latest amenities and facilities of life. 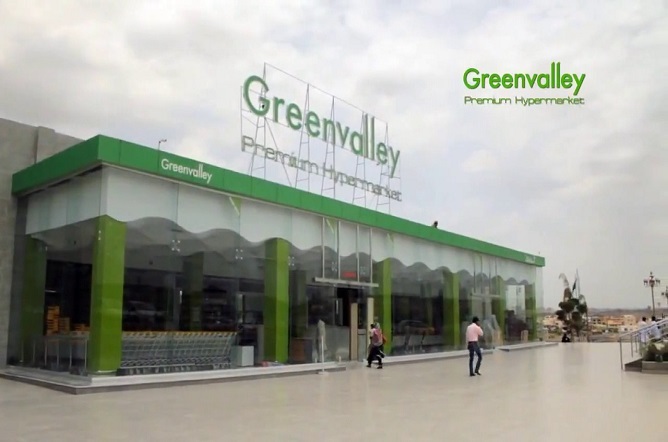 Green Oaks provides you the opportunity to earn by healthy and natural business plan.Payment PlanInitially the payment plan is followingPayment Schedule (48 Months)Location:Green Oaks is situated on chakri interchange near cadet college Rawalpindi. Green Oaks is situated at the distance of 20 minute drive from New Islamabad International Airport. Other huge housing projects like smart city and housing foundation are also in the process of rapid development. No one can deny the reality of having a beautiful and stylish house for residence. Mostly we spend our time at home that is why we prefer to live in an apartment that is designed according to our taste and wishes. Everyone has its own choices according to which he chooses a location for residence. Not only the residents live happily infect outsiders and relative also admires your taste and choice. If you do not concentrate on the design of the house than it remains a skeleton. Construction designs also affect our psychology either we feel it or not but surroundings have an effect on our thoughts and feeling. Changes in Designs: Step by step process is followed for the construction of a house and preparing the designs is its first stage. If designs are not according to your specification then you can change it before the construction process starts. Size of walls, windows or other accessories can be change easily before the construction process starts. Latest Machines and Designs: With the advancement in technology, the latest machines are introduced in the construction field also. That not only save time but also help to increase work efficiency. One more thing is considerable here that it is not enough to make a house with latest machines, you also have to use the latest and best designs. Due to inflation, everyone is constructing huge and heighted buildings. But you should also consider minor things in designs such as air crossing, sunlight crossing or outside garden. It’s better to hire an architect to make a design for your house. 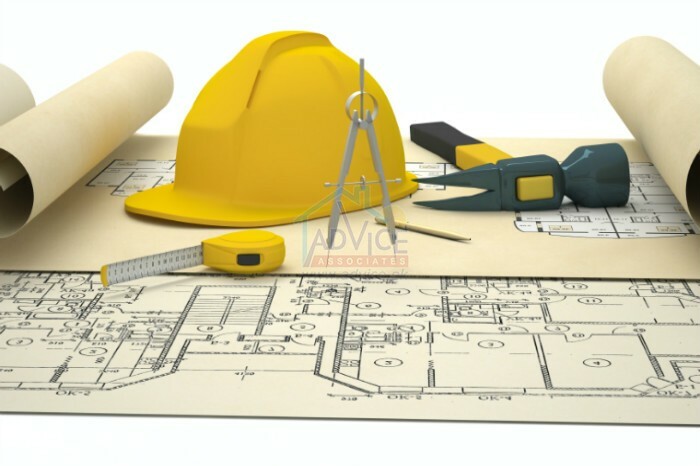 Concepts about Construction: The initial stage is to make the architecture of the house. Architectural design is made according to the desires of the owner. And after the authorization from the owner architecture is confirmed. Architectural design helps you to evaluate conceptually how the house will look like. Expected Mistakes During Construction: In the starting days of construction make sure that work is being done under experts. Where to build the wall, where to make doors these all things should be constructed according to the design. By lessening the mistakes in construction you can decrease the cost and also can save time. Safety Points: In designs, the main factor is how you build your outer walls and doors. Some people prefer to make long walls and some desired to make an iron grill for safety so that it can be locked at night. It is said that fashion and trends comes back whether it’s about cloth, jewelry or even house architecture and designs. In 1990 Eastern expensive interest which was quite famous in Western countries as well, has return again in house construction. You may have seen that constructing basement in houses is being famous nowadays under the influence of western style. 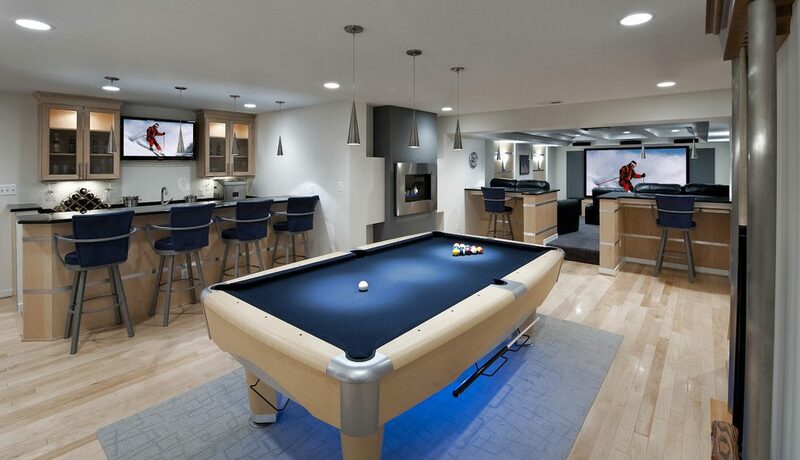 Basement can serve as many purposes. This gives pleasant look to your houses and on the other hand provides you extra space for social activities. Although it is an expensive craving but according to experts it is quite better approach. So let’s discuss some creative ideas that will help you regarding this matter. Basement Play House: Although it is right that construction basement is quite expensive and long process but if you think that this will increase the demand of your property then you will realize it’s worth. We often worried about children’s play area but you utilize one room in basement as play room for children then you and they both will get happy. This will also provide an charming and attractive look to your house. Library in Basement: You can also make shelves in basement where you can kept books, novels etc so that basement can serve as study room as well. Study room or library is not only a place to keep books but you can also exhibit antiques there. You can keep antiques in accordance with the books size and color. Do not much heightened the sizes of shelves, keep them in your range. Increase its attractiveness by using vases and decoration pieces. Basement Living Room or Basement Hall: If the area of basement is large then divide it into two parts. Use one portion as kitchen and second as guest room. You can decorate that room to look elegant. Basement can also be decorated with Chandeliers. You can have chit chat with family and friends in this area at evening. The effects of lights creates pleasant and relaxed environment. On the other hand you can also decorate every portion as wedding hall this will help you to remain save from wedding expenses in future. Gym in Basement: You can also setup gym in basement. This area is frequently used as gym. You can keep your exercise equipment there and can enjoy all gym facilities by staying at your home. Constructing Bedroom: Yes basement is not used as one purpose you can utilize it for many purposes. If you are desiring to make your bedroom in a peaceful environment then basement is the right portion for you. You can easily construct Italian style bedroom in basement alternatively wood is also recommended for creating unique bedroom style. Using skylights will increase its glory. Garage in Basement: You can also utilize basement area as garage. This is another effective idea. Slope surface garage are often more recommendable and appropriate. Wardrobes in your room gave stunning and elegant look to your room. But in some cases you do not have enough space to make it according to latest fashion and your desire. To resolve low space issue experts discovers the way to fix wardrobe in walls or stairs. Making a wardrobe design that is particularly for you is main objective. Making a custom wardrobe enable you to fulfill some important decisions like room's stylistic theme, your utilization of the wardrobe, and how much space the wardrobe will take. These components can be worked into your custom wardrobe to guarantee that you get the best specially design wardrobe to use in your home. The main thing is to consider the place the wardrobe will go. Do you have any expert person to build it? Or you will make it by yourself? See for the space in which you can build your wardrobe? By evaluating space you will be able to know that how space you have to build your desired wardrobe type. After deciding which style you want now you have to take measurements according to them i.e. height, width and inner space of wardrobe. Following are some options that you can have to make wardrobe: If you want to make wardrobe in your room them use mirrors on them it will help you to serve as both purposes a wardrobe and a mirror as well. Also mirrors will reflect light all around the room. If your bedrooms have corners then you can utilize these corners as well. You can make multiple wardrobes in all corners. This will provide you more space. The best way to decorate your wardrobe is to make doors of wardrobe that are light in color and less in weight. They look stunning and cool. If you cannot afford expensive wardrobe then you can use its alternative such as wood to make wardrobe. You can search thousands of design for wood closest. Now a day’s sliding door wardrobes are mostly being use. These wardrobes are not only easy to open or close but also cloths do not fell outwards when you slide the door. If you have huge space and you want to utilize that space then you can make walk-in wardrobe. This wardrobe not only look beautiful infect this provide you large area to keep things or cloths in sequence. If your room is small then you can make wardrobe around the bed. You can also make shelf on the upper portion of wardrobe to expand the space or you can also keep decoration pieces on these shelves. In Pakistan the frequently using area is kitchen in any house. That is why it is important to focus on its architecture. So make decent and small sized wardrobes to keep kitchen accessories. A traditional way is to make cartoons on wardrobes in children’s room. Use pink color on wardrobe for girls and blue for boys. Association of Builders and Developers gave invitation of contributive investment with Chinese companies for the deficiency of 1 crore 20 lakh houses. This invitation is given by the association of builders and developers during the Pak China construction conference. 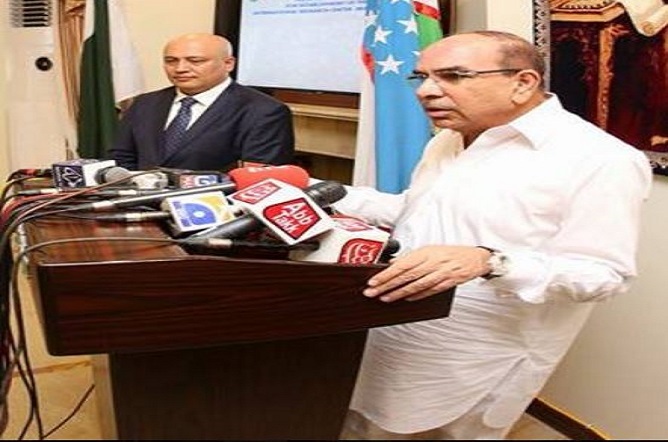 The Chairman Arif Yousaf Jeewa said during addressing in a conference that there is a deficiency of 12 million housing units in Pakistan, and to overcome this deficiency amount of 180 billion dollars is required. There are huge opportunities for Chinese companies and investors in Pakistan. The constructive companies of China investing a lot in CPEC project. By importing latest machinery in Pakistan, the economy of Pakistan would increase. Commercial consoler of China Gao Chen Shi said there is deep friendship between Pakistan and China. China is doing investment in Pakistan for 50 years, Karakoram highway and other projects are its examples. Chines companies wanted to invest in a constructive industry of Pakistan. CPEC is a trading pull between both countries, which will give more strength to Pak China Friendship. Chairman of association of chines enterprises Lee Xia Xian said that in 2018 chines companies have done 41 delegations. The project of CPEC includes Gwadar Port, Construction of roads and investments in industries. The Growth of Cities in Surroundings: The constructive department of cities is growing day by day. As the facilities of employment, treatment, education, and amusements are available along with the house. Such apartments are becoming famous in Pakistan where all facilities are available under one roof. 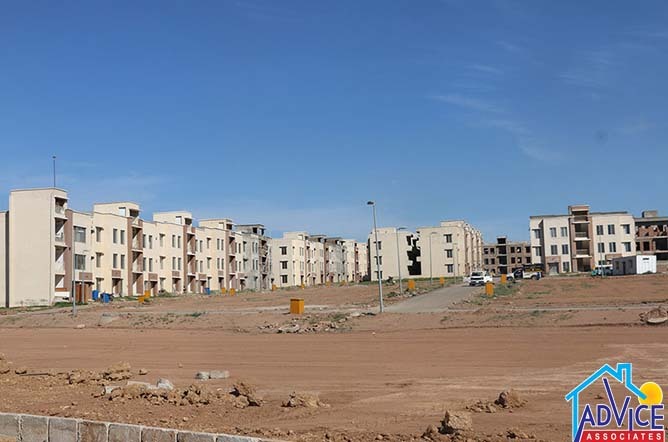 Initially, Karachi was famous for such apartments and flats but now Lahore, Multan, Faisalabad, Peshawar, Quetta, are becoming prominent due to such projects. Profitable Business: Prices of property and plots are increasing with the passage of time. And this business is much profitable as prices become 5 times higher in 5 years. People belong to this field have believed that prices of the property increase much faster than the prices of gold. Since food and shelter is human’s basic right and its worth cannot be avoided in any era. 10 year ago the price of plots was in lakhs and now it’s in crores. Especially the lands of Clifton, Defence, PECH Karachi are much valuable. Cities like Karachi, Lahore, Faisalabad, Islamabad, Quetta, Multan, Haiderabad, Mirpur Khas, Sakhar, Nawab-shah, Larkana are mostly full of population. Now the people lived in nearby villages and towns are migrating towards these cities due to which population is increasing day by day. As a result agriculture lands are destroying and with growing industries pollution is also increasing. Exhibition of Property: With the start of new century real estates of Pakistan have made themselves more innovative and versatile. Representatives of constructive companies laid the foundation of property Expo in Cities like Karachi, Islamabad, Lahore and United Arab. The sense of investing in properties has increased in Pakistani foreigners. As well as trust in this field increases and contacts get better. 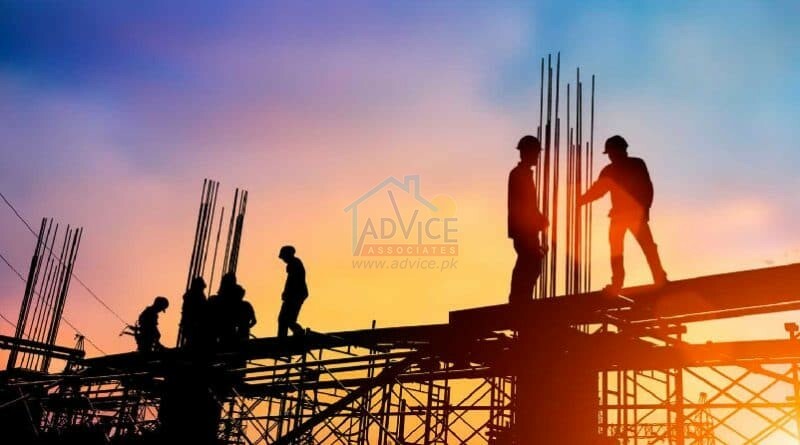 The successful events of property Expo in Karachi, Lahore, Dubai, and Abu Dhabi highlighted the struggles of Pakistan’s expert constructors. 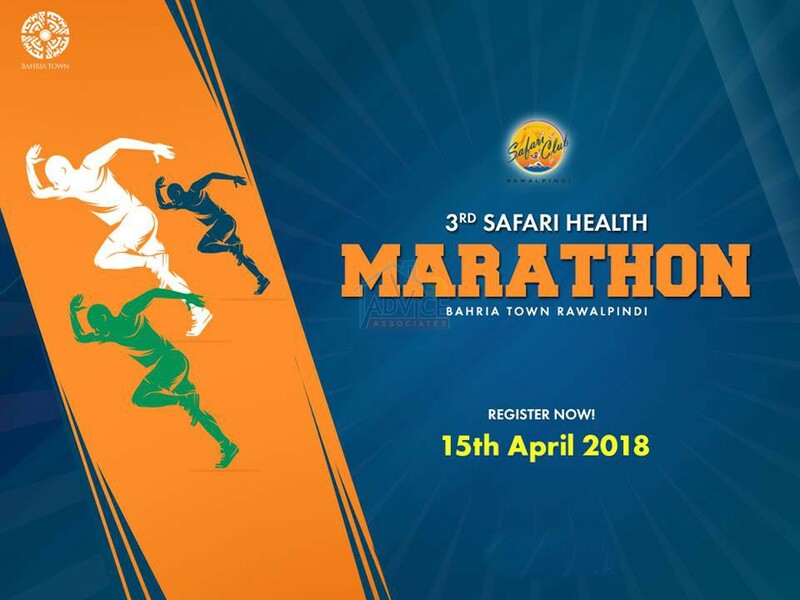 Safari Club organizing 3rd Safari Health Marathon with the collaboration of Mini Golf Club in Bahria Town Rawalpindi. The purpose of this event is to make people happier and healthier. This will be a family event with full of surprises. People of all ages can take part in it like men, women, kids and senior citizens.winners will entertain with a lot of gifts. The registration process has been started and the last date for registration is 13th April 2018. So go and get yourself register to experience a healthy activity.Event Details:Event Date- 15th April 2018Starting Point- Safari ClubEnding Point- Mini Golf ClubOther than the winning prizes, all registered members will get a marathon T-Shirt, Cap, and Certificate. From Bahria Town Management, It is informed to all that on behalf of the open merger certificate of Rs 15,00,000/- issued by Awami Villas, the booking of 5 Marla Plots of Bahria Town Karachi project is starting from 1st April 2018. 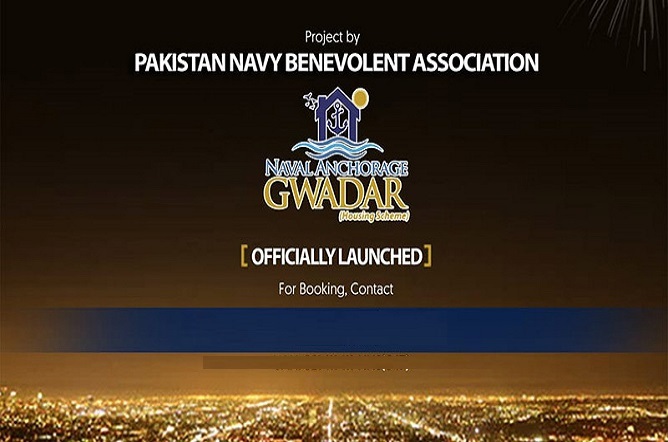 Booking forms can get from the offices of Bahria Town Karachi, Lahore, and Rawalpindi. you don't have to pay any type of processing or membership fee at the time of booking but it would be compulsory to bring original merger certificate with you. 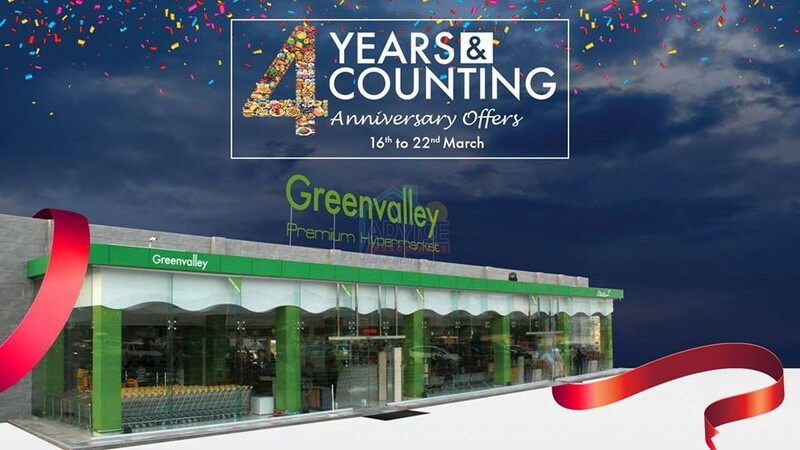 Green Valley Hypermarket Rawalpindi is going to celebrate its 4th Anniversary. There would a lot of surprises. As they will provide 50% off on Bakery, Butchery, Fruits & Vegetables Green Valley will also host a meet and greet with stars and you would have a chance to meet your favorite celebrity.You would have fun activities for kids as well and many more to come.Celebrations will start form 16 March and will continue till 22 March.Cake cutting ceremony will be on Sunday 18th March at 7pmSo join that amazing celebration to have fun.Stay tune for more updates!! Summer is arriving fast! Now its time to prepare yourself for swimming. Bahria Safari Club is soon launching their state of the art swimming pool for all age groups. 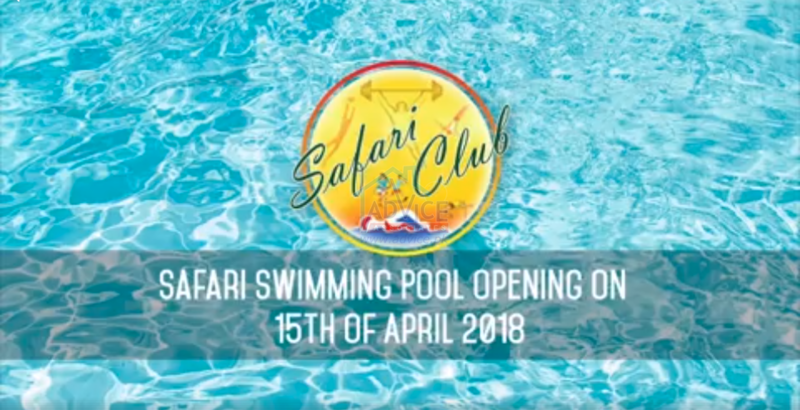 The opening date is 15th April 2018.The swimming pool will fully equipped with safety tubes, night water lights, showers, changing rooms and lockers with fully luxurious environment and surroundings.Safari Club is a perfect place for entertaining guests or relaxing and experiencing the finer things in life. 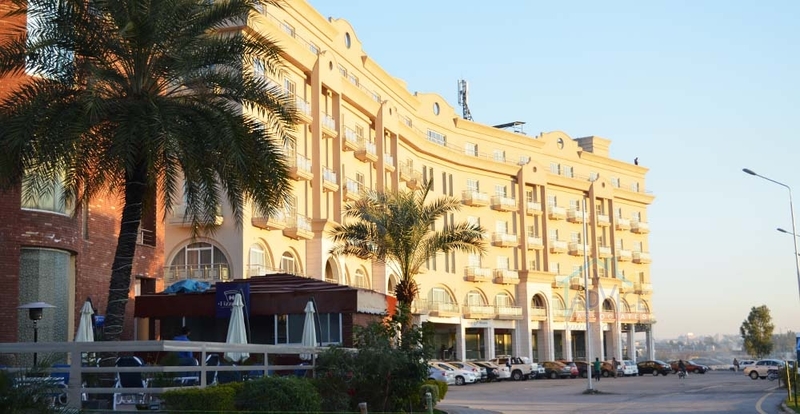 Recreational facilities includes Mini Golf Club GYM and SPA BanquetsSaloonRestaurantRooms and Suites.Safari Club is an open place where all families can come and enjoy the services and can create a memorable experience. Pakistan International Culinary Festival 2018 held on 9th March 2018 till 11th March 2018 at Alhamra Cultural Complex, Qadaffi Stadium, Lahore. That includes Food Brands, Food Stall by Top Restaurants, Live cooking competitions by local & international chefs, Fun, Music, Masti & Entertainment and many more.Lots of people took participate in that competition. Clove Restaurant from Bahria Town Lahore also took participation with the team having best skills and professionalism. Bahria Town is extremely proud of Clove Restaurant, on winning 3 Gold, 1 Silver & 1 Bronze medals. 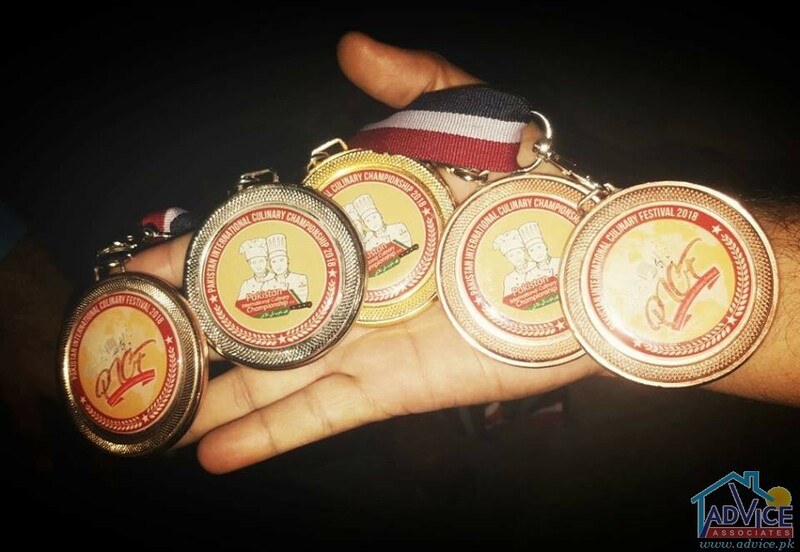 These medals are the symbol of their purity and taste. March has arrived, snow is melting up in the north, and it's finally time to say spring is on it's way. It's time to celebrate happiness of the glorious season. The ACE International Academy is celebrating "Spring Festival" and it's going on right now. The School is fully decorated by the student and management staff.It is the best opportunity to take your family and not only enjoy the warm weather, but also do lots of fun activities:RidesMusic Food StallsGaming CompetitionsOnline GamesModeling Playing Areas for ChildrensClothes Exhibition and many more.People are going and enjoying this festivals with their children. This festival offering entertainment and amusement to teachers, staff and students as well as their parents. it is best time to relax and get out off all the anxieties. 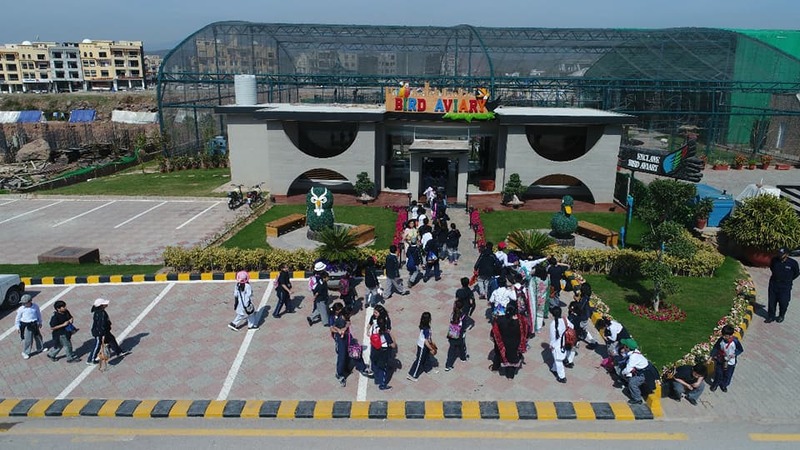 Students of Frobels International School visited Bahria Enclave Bird Aviary. The children were very happy to see unique and exotic birds. “The Children really enjoyed there, they feed the birds with their own hands, and were cheering to see over 5,000 birds of various species, including rare ones,”.This was the great experience according to the children and unforgettable memory. Bahria Enclave Bird Aviary:The aviary is the main attraction for visitors to the park because of having 4,000 birds of 280 species, is the main attraction for visitors to the park.The aviary,that claims to be the third largest in the world, contain pigeons,geese, ducks, ostriches, cranes, crown, doves, pheasants, peacocks, swans, cranes and parrots. The green-winged macaw and white cockatoo are crowd favourites.The birds are kept in a massive cage, with living space so they can fly and walk comfortably, and visitors can roam around in the enclosure.Inside the park, there is also a pond where birds can be seen swimming. According to the animal caretakers, one thousand visitors come every day, while according to the company’s website around 1 million people visit the aviary every year. The spring season is all about festivity and happiness. 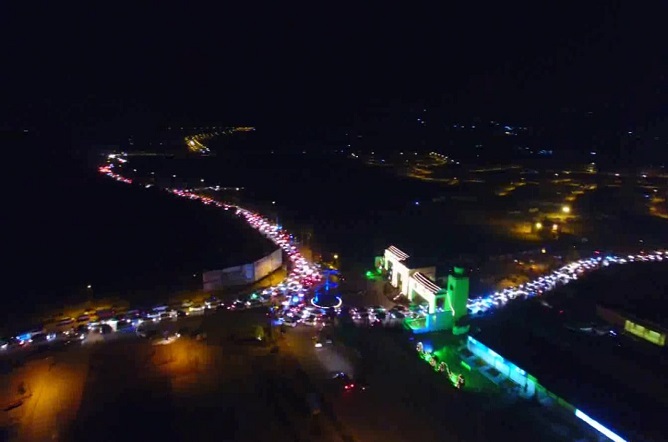 Like other festive occasions, Bahria Town also celebrates it, in style to entertain its residents and general public. 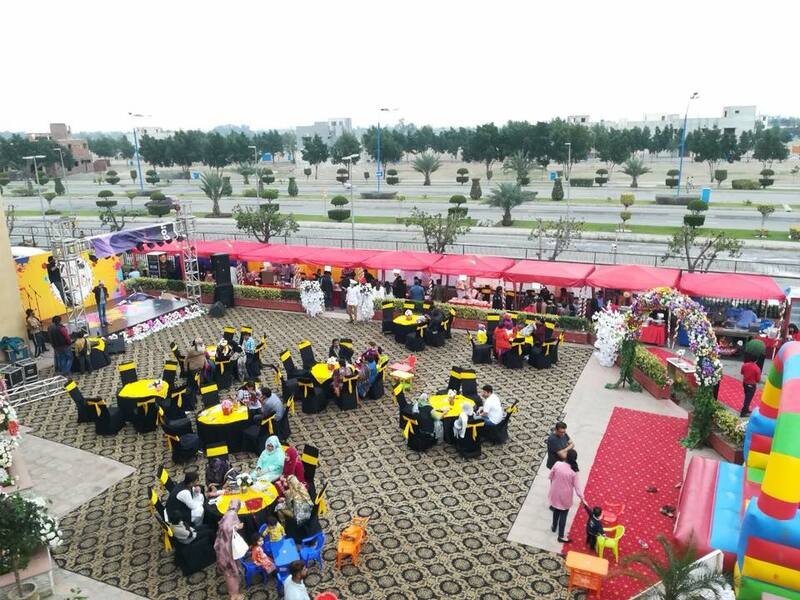 Arena Bahria Town Lahore decided to arrange a spring festival in its own premises and a number of residents and visitors attend this event. Arena festival welcomed their guests warmly. There was a lot of fun with different activities specially arranged for kids entertainment. There was proper arrangement of sitting to eat food. 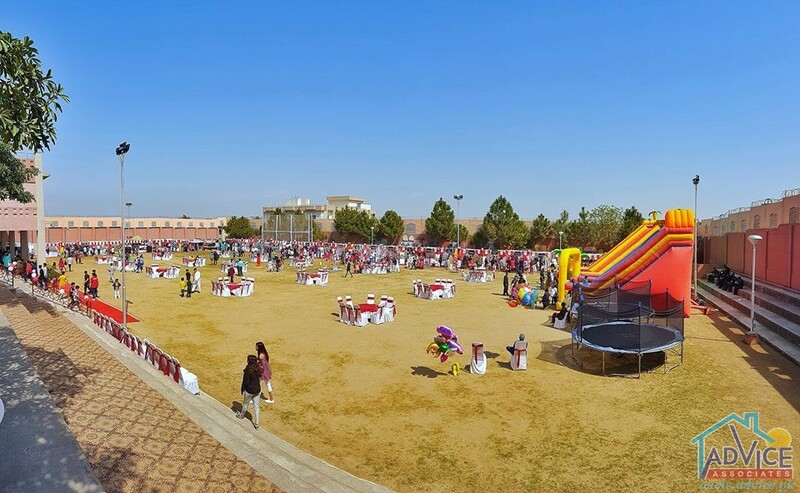 playing area for children and much more.There were lot of surprises such as:Cultural Dance PerformanceLive BBQ and FoodLive MusicMagic Show Puppet ShowNo entry fee charged and this event was open for all citizens other than Bahria Lahore residents. Many people joined and had fun. 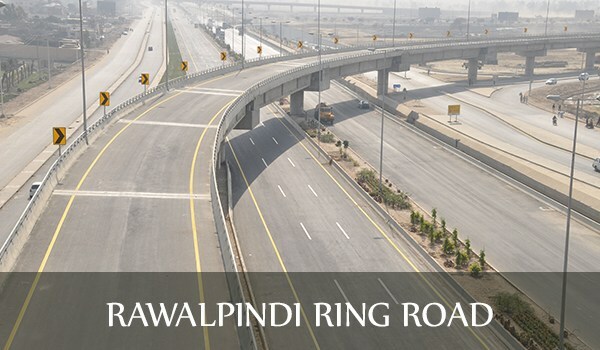 Shahbaz Sharif Approved the investment of PKR.21 Billion for the construction of Ring Road Rawalpindi. According to the survey it will cost almost PKR.50 Billion. 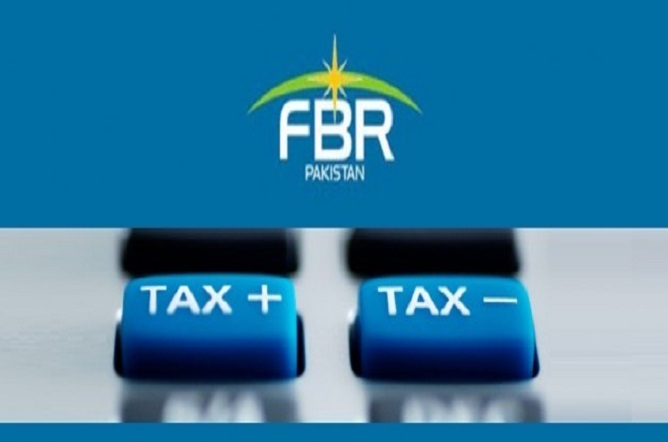 It will take 2 years to complete.Latest Progress:The process to provide Pre-qualification documents to hire consultancy for transaction advisory services is continues. 13 Firms has get Pre-qulafication documents from the Engineering department of RDA.These documents can get till 17th of October and to submit these documents to RDA the date of 19th October has fixed.According to the resources from RDA, The Government wants to complete this project with the collaboration of private public partnership with least budget.Most of the land of Ring Road come under the authority of Chaudhry Nisar Ali Khan, So citizens are hoping that this project can complete under the governance of Muslim league N, due to their personal benefits. According to RDA, length of Ring Road could be 40 Km.Introduction:Ring Road was much needed project for the twin cities. 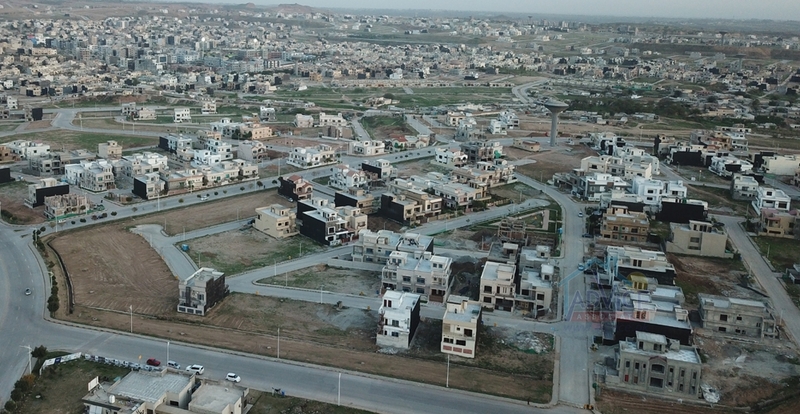 There is only one main road and one route that connect Islamabad to major housing schemes of Rawalpindi. people use Express way and then G.T Road to access the societies like Bharia Town and PWD.The Ring Road will connect Rawat to Adyla Road. One side will link to the Sector 1-16 and another will go to the motorway. it will also touch new Islamabad international Airport and ends up at Fateh Jang Road.it will not only give benefit to the road travelers but also the residents of neighboring housing societies are going to be benefited from this.Past Study:The Ring Road project was initiated in 1991 by RDA but due to frequent changes in governments decisions it couldn't be executed.In 2008, a fresh feasibility study was conducted to construct the road from Channi Sher Alam to Fatehjang near the New Islamabad Airport through foreign investors on the basis of private-public partnership.In that plan, the RDA made changes by reducing the total length of the road from 75km to 54km. It also dropped the idea of laying a rail track along the road to connect the main railway lines with the new airport. According to the officials “The changes were made to reduce the project cost,”. The Grand Jamia Masjid, Bahria Town Lahore displayed 48 antique Quran collection more than 1000 years old. This mosque has now became one of the biggest symbols of the Islamic World. This mosque provides an indoor praying facility of 25,000 people and also the 7th largest mosque in the world.This mosque is also an center of attraction for tourists and citizens because of itshuge structure just like Faisal mosque in Islamabad and Badshahi mosque in Lahore. Bahria Town has acquired these antique Qurans from all parts of the world and brought them to Pakistan. 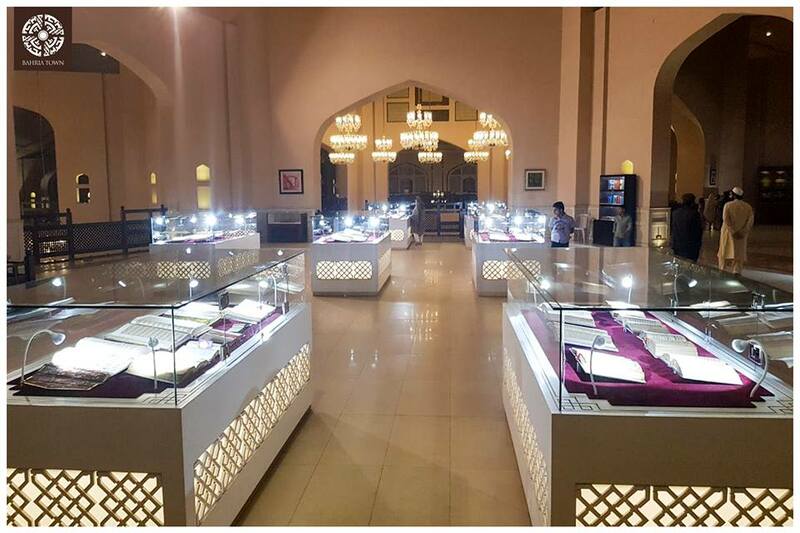 You can now visit the mosque to see unique collection of beautiful Qurans. 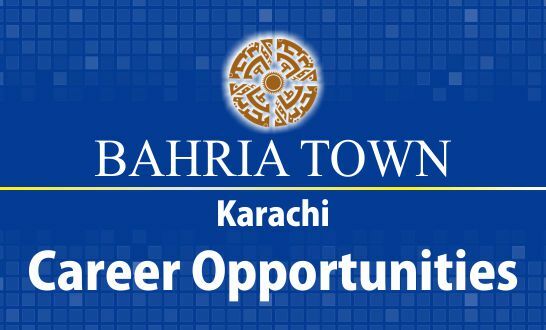 Bahria Town Karachi is now offering a career opportunity for the citizens. It is offering 12 different job vacancies in its different projects. 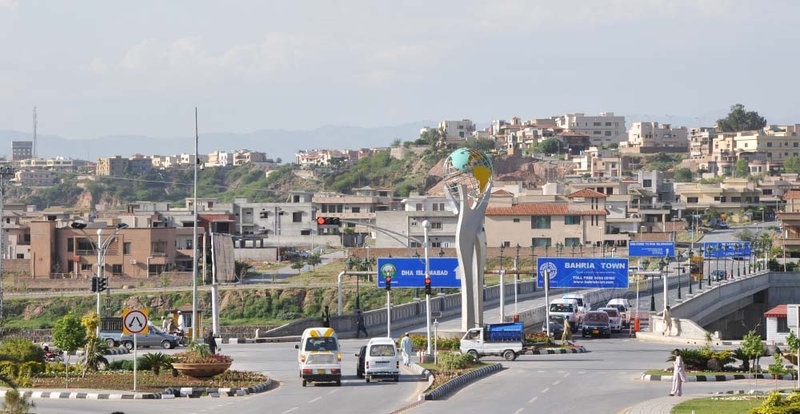 Bahria Town Karachi is Asia’s biggest Real Estate Developer in the private sector. It has received ten International Property awards. 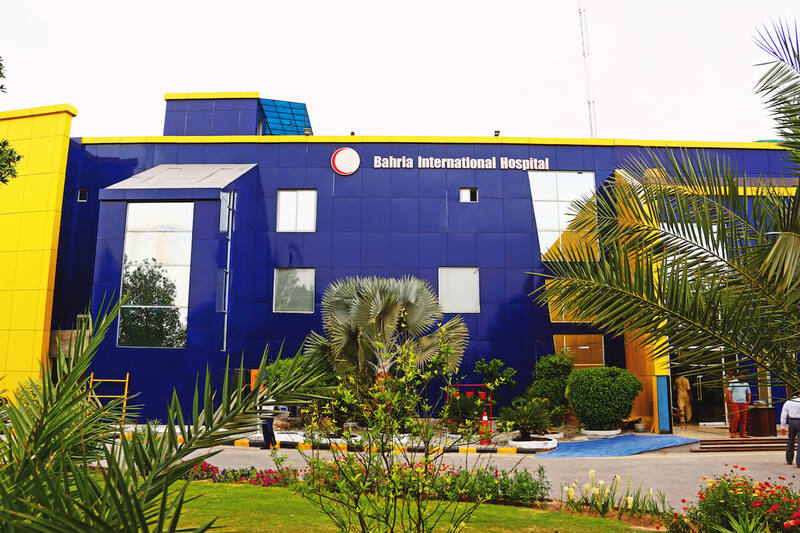 It has a huge team of foreign and also local workers. Consequently, it is a good opportunity for the citizen to work along with such a huge architectural firm. Avail this good opportunity by sending your CV today. 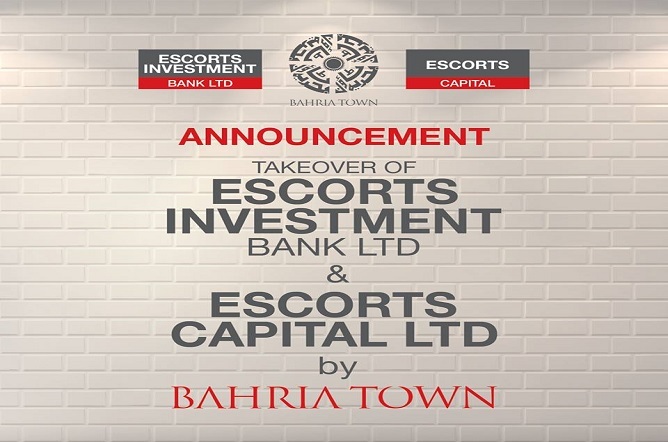 Bahria Town Management has decided to give relife to its members by giving an option of surrender /merger for Awami Villa,s project at a lucrative price as under: Awami Villa files can be surrendered against open merger certificate which can be merged into any project of Bahria Town Islamabad/Rawalpindi including Bahria Enclave, Garden city, Golf city, and Phase I-VIII project except the project being dealt by corporate office or JV projects with DHA or any other company@; Standard Villa = 13,21,000/- Premiun Villa =15,00,000/->No transfer fee tax & Payment of outstanding surcharge applicable/Payable.>100% principal amount has to be paid before surrendering any flie/registration >NDC to be applied a day prior [24 hours] to surrender Awami villa’s file which will be valid for next 15 days .>Surrender performa on stamp paper of RS:50/- against merger value of file has to be signed by the allottee/attorney .>Open merger certificate will be issued against each surrendered Awami villa file .>Open merger certificate will be valid for the period of one year from the date of issuance .>No adjustment or any kind of refund will be given after expiry of one year time.>Documents required for refund process :- =>Copy of CNIC allong with original and and two  latest passport size photographs. =>Original Allotment letter /transfer letter & deposit slips.>Management of Bahria Town [Pvt] Ltd is not responsible for any theft or loss of this certificate.>Duplicate merger certificate will not be issued in any case .>This option will be valid till 15th of February 2018. 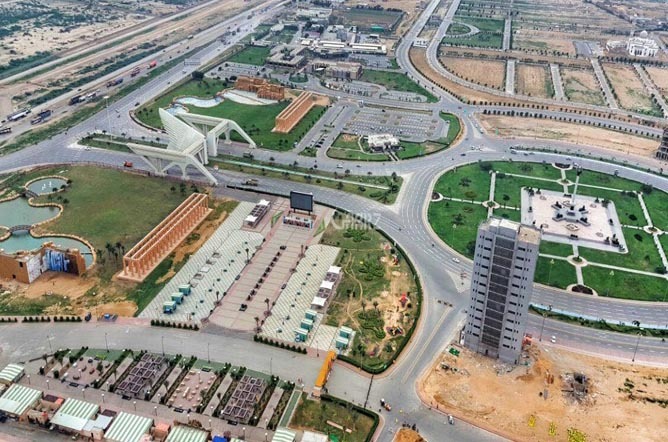 Bahria Town Rawalpindi Phase 8 extension is a good project for investment in bahria town.it is situated near Awami villa sector 3,.This project is divided into 6 sectors.In future Ring Road will connect Rawalpindi to phase 8 extension .Residential plot sizes in phase 8 extension are 5,8,10 marla and 1 kanal plots are available on cash only.In future All facilities like parks,hospitals ,Golf course,hosipal etc .will be available here.Road size is minimum 40 feet wide and maximum 110 feet wide. 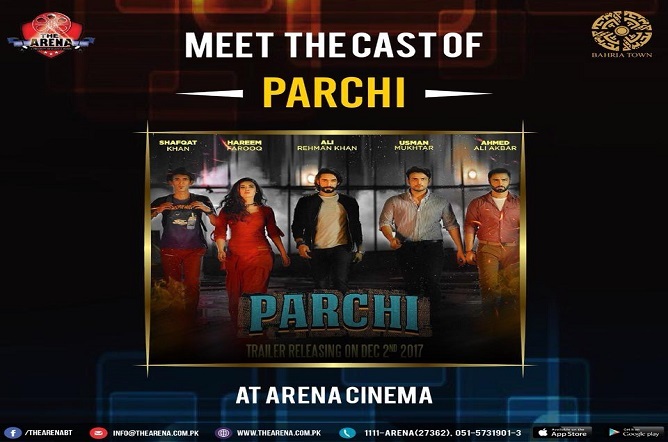 Price on launching was following 5 marla price was 8 lac 8 marla price was 11 lac 10 marla price was 13 lac 16 installment with each after 3 months. 20 marla plot was merged in back 2010 with other blocks. It's never too late to get the best. Phase-8 Extension, now offers you to be the part of the most modern community in Rawalpindi. 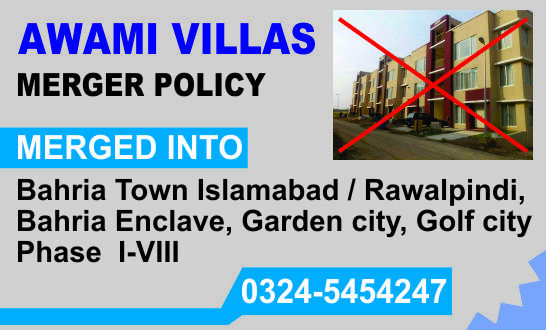 Location: Adjacent to Phase-8 Block N and in close proximity to fully developed residential communities of Bahria Awami villas sector 3 and Adyala Rawat Road. 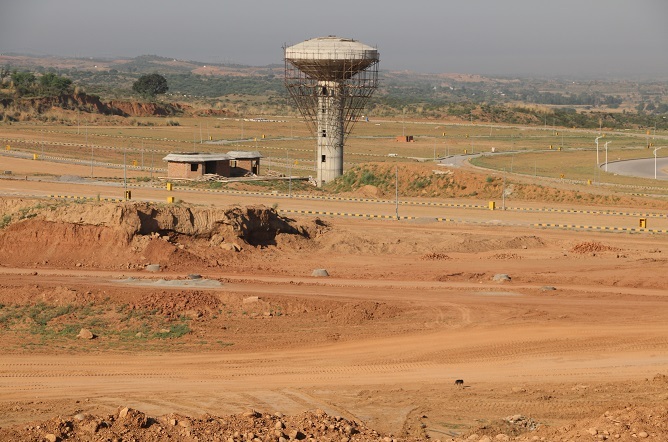 Bahria Town Phase 8 Extension is the cheapest investment option in Bahria Town Phase 8 Rawalpindi. 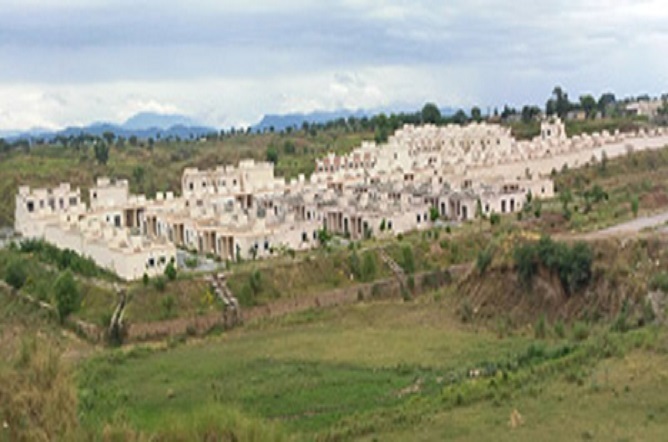 It offers residential plots of different sizes i.e. 5 marla (25×45), 8 marla (30×60) and 10 marla (35×70). 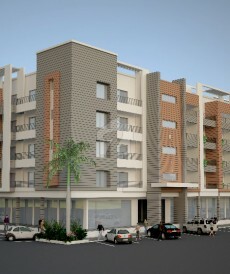 The project was launched in 2010 and plots were offered on 4 year installment plan. Files are available on resale in the market and all payments have been cleared. Location of Phase 8 Extension is a bit farther from Awami Villas 3 which is located in Sector N, therefore not many people have seen that area and actual development status of the project. Normally people quote profit rates for each category of plots, and you might not understand what will be the actual cost, so you can check the actual paid amount of these plots below. Add these amounts to the profit rates to get your actual cost for some plot in phase 8 extension. Phase 8 Extension is again a very large block which is subdivided into 6 precincts. Each precinct has its own map and number of plots. Find attached the layout map of these precincts in phase 8 extension. Since phase 8 extension is the cheapest investment option in Bahria Town Phase 8, and prices are at their lowest at present, phase 8 extension could be considered as a very good investment option for a period of 2+ years. 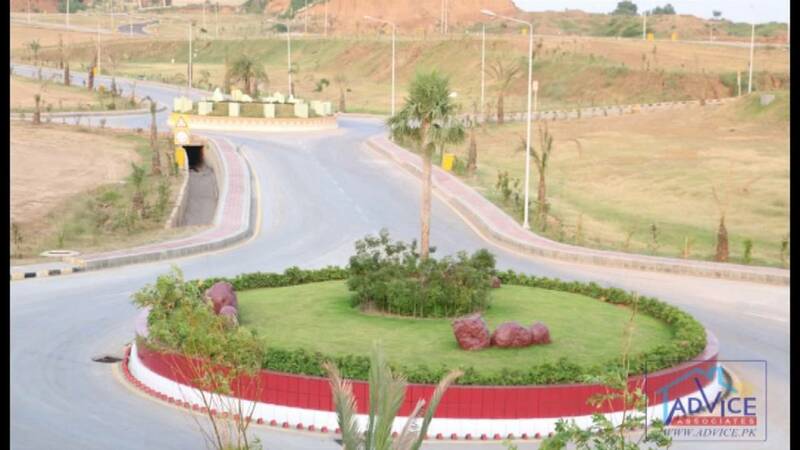 In investment prospective Bahria Town Phase 8 Extension will be the best return gun in near future due to many prospective, phase 8 extension is nearing all best location of Rawalpindi. Apart from this a very prime location of all blocks with solid land. Development will be competed in 5 year In 2013 prices gets boost upto 30 lac for 10 marla plot but the price of 10 marla plot is 16 lac but price will be better day by day. 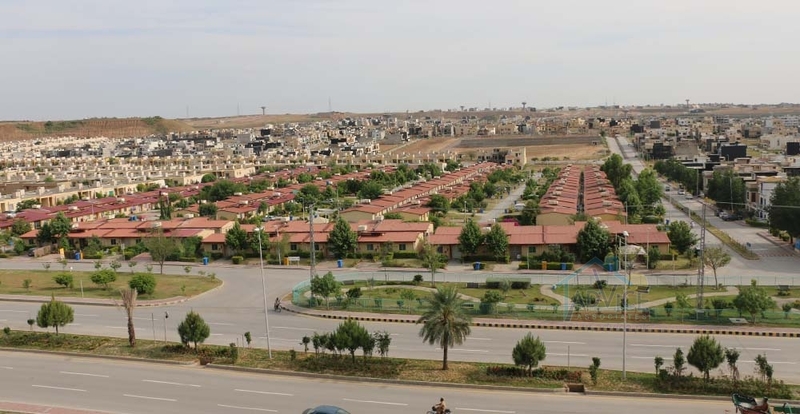 We recommend you to invest in Bahria Town Phase 8 Extension for best result on investment. 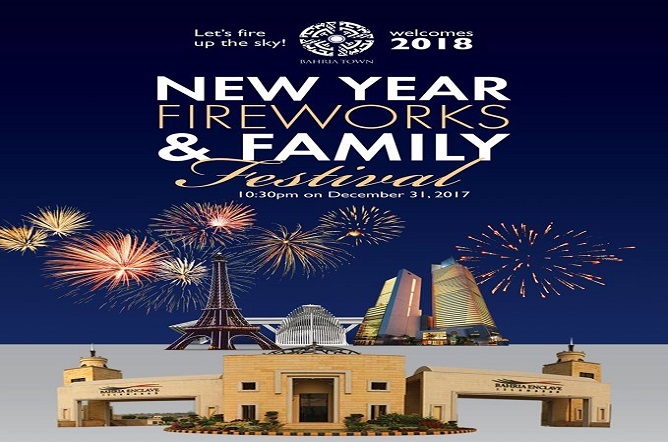 Come and Celebrate This New Year 2018 With Bahria Management It's time to welcome 2018 at Bahria Town where Epic New Year Fireworks await you in 3 cities at once Bahria Town Karachi | Bahria Town Icon | Bahria Town Lahore | Bahria Enclave Islamabad Epic Fireworks, Dancing Fountain, Music Concert, Fun, Food, Games & much more Time and Date: December 31, 2017 8:30 PM Criteria For Joining : Families Only | Free Entry No Registration Required This Whole Event is only For Families Dont Miss the day with Bahria Town. 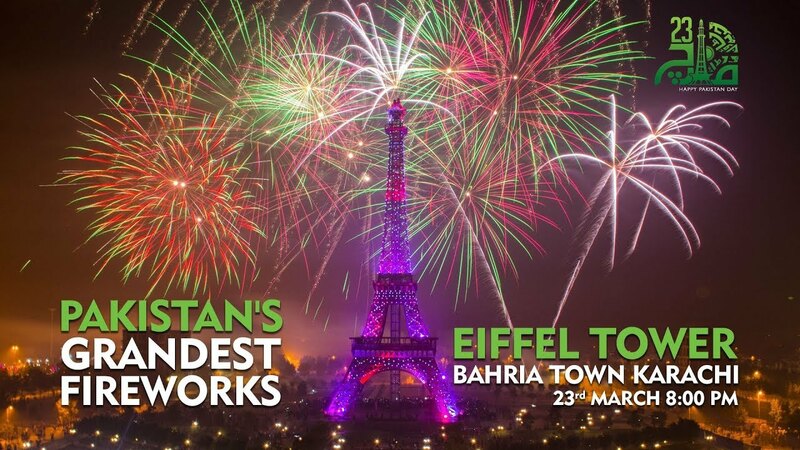 mark the date and come along with your families in this beautiful organised Festival by Bahria Town.